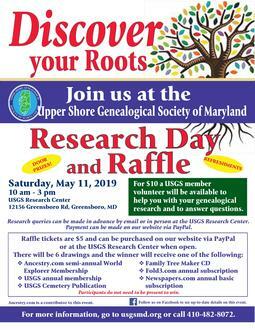 The Upper Shore Genealogical Society of Maryland is celebrating its 45th year. Founded in 1973, the USGS is a 501(c)(3) non-profit organization run by volunteers and covers Caroline, Dorchester, Kent, Queen Anne's and Talbot Counties on the Eastern Shore of Maryland. The USGS began following a genealogy class for beginning researchers, held at the Chesapeake College in Wye Mills, Maryland. From the initial class of fourteen, the organization now offers information and assistance to more than one hundred members. 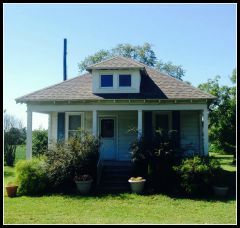 We welcome you to trace your family genealogy and history, visit the USGS Research Center, and become a member of USGS. For more information and to see our inventory of research materials, please view the USGS Research Center page. Please visit the USGS Bookstore to see our publications for sale. Our publications are available in both book and e-book format (CD-ROM PDF searchable format). Purchases may be made in person, by mail and by paypal. If you have any questions, please contact Jean Kelly at 410-482-8072 or e-mail: usgsmd@yahoo.com.